The principle of a horn cabinet (also known as horn baffle or transline) has been known for a long time. The Maya, the Celts and Egyptians (even in the predynastic period) were able to use the physical properties of a hollow animal horn for the amplification of sound. The idea of an animal horn essentially being an expanding baffle cabinet is in use with a range of musical instruments (clarinet, trombone, trumpet, …). The essential purpose of this article is to bring the reader a basic answer to the question “What does horn mean?”. 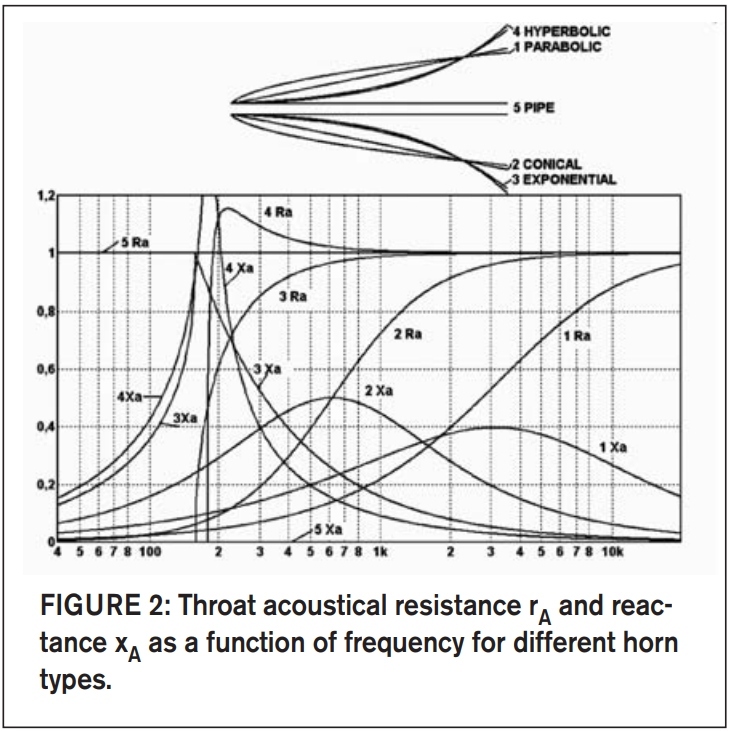 If you are familiar with the basis of the horn theory already, I recommend more detailed articles—such as the one from Bjørn Kolbrek (the first and the second half, PDF), in which you will find—among other things—a detailed mathematical description of the energy transfer or a description of different types of horn baffles. In 1877, the inventor Thomas Alva Edison used the horn baffle principle when constructing phonograph—the first machine able of recording and reproducing sound. At the beginning of the electricity era, when the very first tubes appeared, there was an obstacle to overcome. A sufficient power to excite the speaker was required. The difficulty rested in the transfer of the power to the speaker. This problem found its solution in horn. All the early speakers were supplied with a horn baffle, which immensely improved their efficiency. With the succession of semiconductor technologies (transistors), a trend of multi band (n-way) speaker constructions appears. They offer higher transferred power and more compact construction. The price for that is low sensitivity of the speaker driver and the need for a frequency crossover. 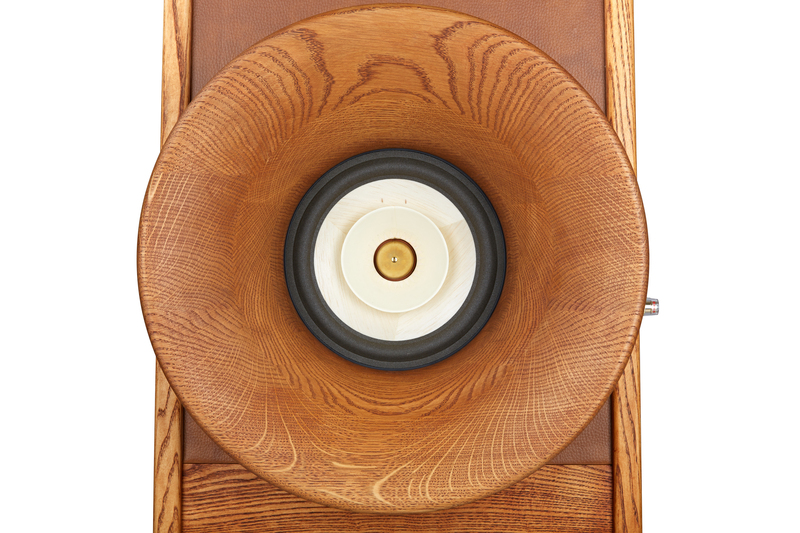 Full range driver speaker constructions using the horn cabinet have been again gaining attention in the last few years. Combined with components of the highest quality, high sensitivity drivers with neodymium magnets or even electromagnets which intensify the magnetic field, the phrase “modern renaissance of the horn cabinet” is quite appropriate. Considering the detailed reproduction, high sensitivity, dynamics and spatiality, the full-range horn construction rightfully stands as one of the pinnacles of 21st century’s high end audio. The expanding horn baffle functions as an acoustic transformer. 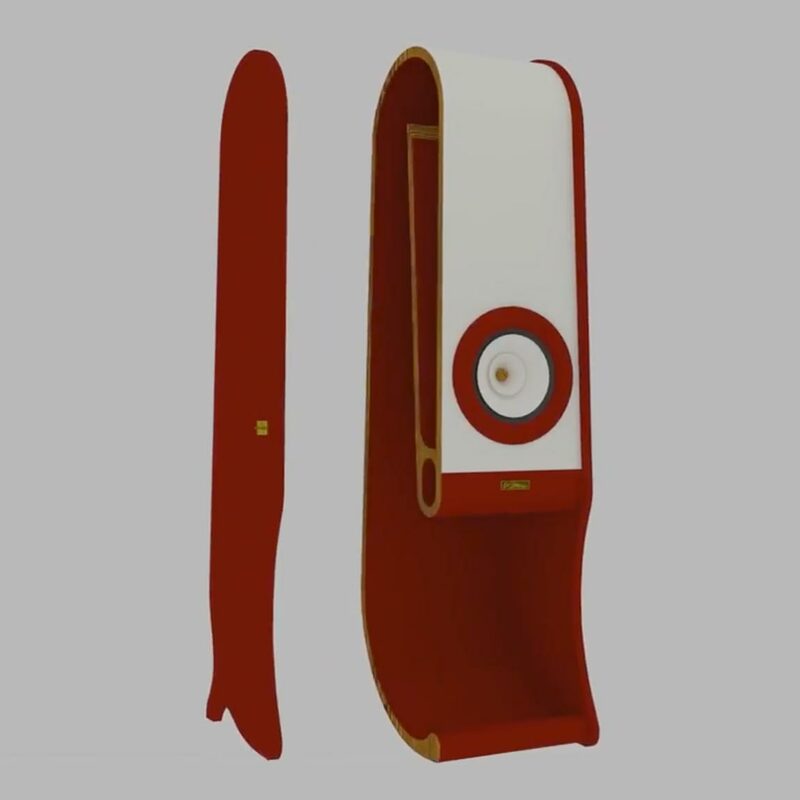 The speaker driver membrane made of hard materials (paper, wood, aluminum, ceramics)—a small plane, has its acoustic energy efficiently transmitted into the soft air. This happens in the plane of the horn mouth—its outflow into space. A modern horn construction utilizes the energy of the back side of the driver membrane. This is called back-loaded horn. With high efficiency, the energy gets transferred into the listening space. A relationship applies here: the longer the horn baffle cabinet, the lower the frequencies it is capable of transferring. Generally, the lowest possible transmitted frequency equals to 1/4 of the wavelength. That is F [Hz]=345 (the speed of sound)/L (the length of the cabinet)/4. The horn baffle, or, respectively, the pressure dynamics transferred by it (entry–mouth), mechanically tempers the driver membrane and helps to keep its voice coil in the ideal magnetic field of the air gap. Depending of its shape (the mathematical function with which the horn expands), the horn baffle is either hyperbolic, parabolic, conic, or exponential. We can further distinguish a front-loaded or back-loaded horn.